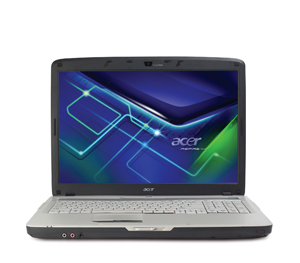 Its 17-inch screen, powerful components and HD DVD drive are ideal for multimedia use, but the bulky case and low battery life restrict mobility. The grey and black chassis is designed by BMW Designworks and its unique style means it stands out from the crowd. The 3.6kg weight is unsuitable for frequent travel use. Equally, the 114 minute battery life is best suited to use around the home or short journeys. The large case allows for an equally large user interface. The full-size keyboard means it’s comfortable to use for extended periods. Keys were responsive and we noticed no errors when typing. The Acer Aspire Gemstone 7720G is more of a stay-at-home machine than a travel companion. Swapping performance for portability, it's more suited to static use. Acer certainly hasn't skimped when it comes to the Acer Aspire Gemstone 7720G, including a speedy 2GHz Intel Core 2 Duo T7300 processor and generous 2GB of RAM. Running it through the WorldBench 6 test resulted in a decent real-world score of 71. The Acer Aspire Gemstone 7720G is a bit of brute to look at, but it's powerful and can even do a little bit of gaming. The inclusion of an HD DVD drive in this price range is impressive, although it's a shame the screen resolution doesn't allow you to make the most of it. Pick up Toshiba's Portégé R500-10U and you'll be stunned by just how little it weighs. On the plus side it's remarkably well priced considering that it has a solid state hard drive, but the down side is the overall fragility and rather poor battery life. You'll have to treat it very gently. The HD bandwagon trundling through the consumer electronics arena is taking a while to affect the PC market. With a lack of clarity on which of the competing next-gen formats to choose, high prices and a less than compelling argument for HD on sub-20in screens, it's hardly surprising. But the notebook market is proving a little more open to HD's charms, thanks no doubt to their portable entertainment skills. And it helps that Toshiba the creator of HD DVD and principal manufacturer of drives is being particularly aggressive on price. It's no ultraportable, but HD DVD and 320GB of hard disk space are a real highlight at this price. The only thing I really don't like is the placement of the power input. It's not bad, really, but it isn't intuitive, and there are few tactile cues that lead you to it. I've had to look behind the laptop each time I needed to plug it back in. Did it seem like a bargain? Yes. Comparable prices used integrated graphics and lesser media drives. 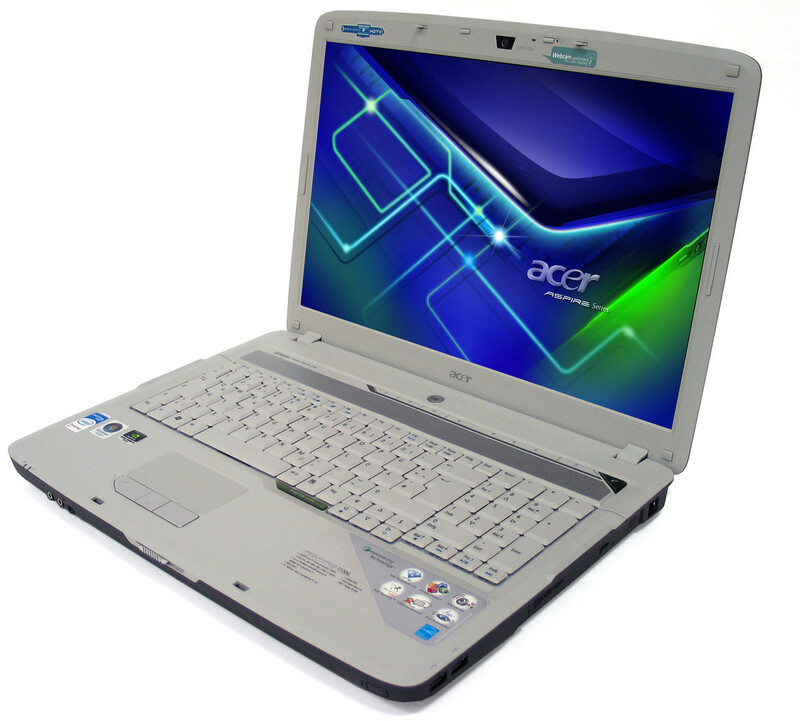 We look back with some amusement to the time when Acer launched its Gemstone chassis, used by the 7720G. The chunky grey chassis was praised as beautiful by Acer, but in our eyes this is one of the ugliest we’ve ever used. The Aspire 7720G is great value for money, but the hefty design and poor keyboard means we can’t recommend it wholeheartedly. Not the best HD DVD laptop we’ve seen, but good value for money.